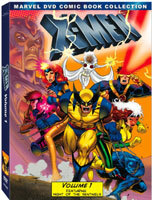 On April 28th Walt Disney Studios Home Entertainment releases MARVEL X-MEN: Volumes 1 & 2 on DVD! For the first time, all 32 episodes of animated TV-series will be available! 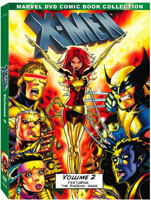 Discover the origins of your favorite X-Men characters with stories adapted directly from the original comic books. Disney came to own the rights to these two X-Men volumes with the purchase of Haim Saban’s Fox Family channel, now the ABC Family channel. Now you can add these two great DVD sets to your collection in a new The Disney Blog giveaway. Just enter your name and favorite X-men character in the comments below for a chance to win. Be sure to enter a valid email address so I can find you if you’re the winner. Winners will be drawn at Noon on April 28th.